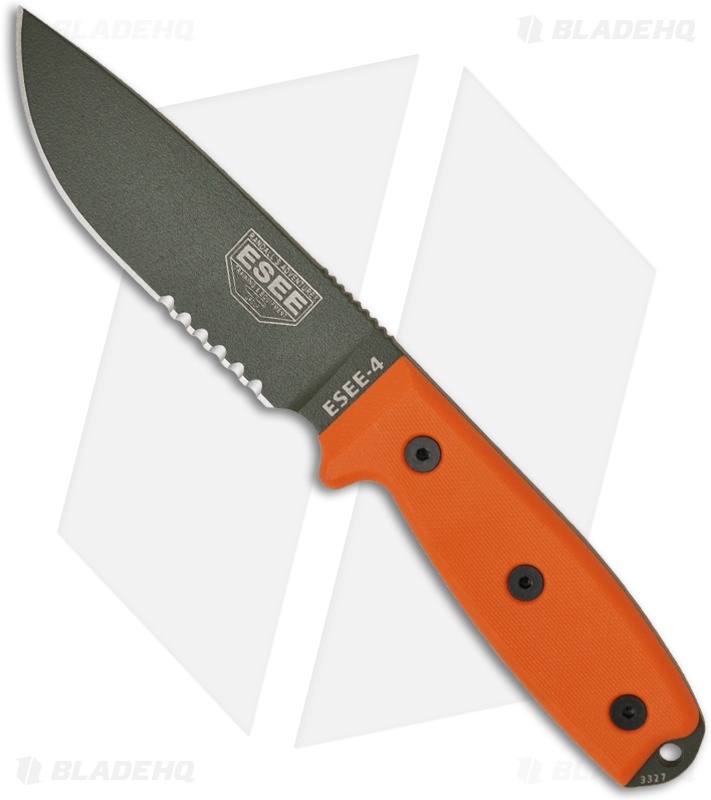 The ESEE-4S-MB-OD fixed blade knife features orange G10 scales and an OD green finished blade with a partially serrated edge. 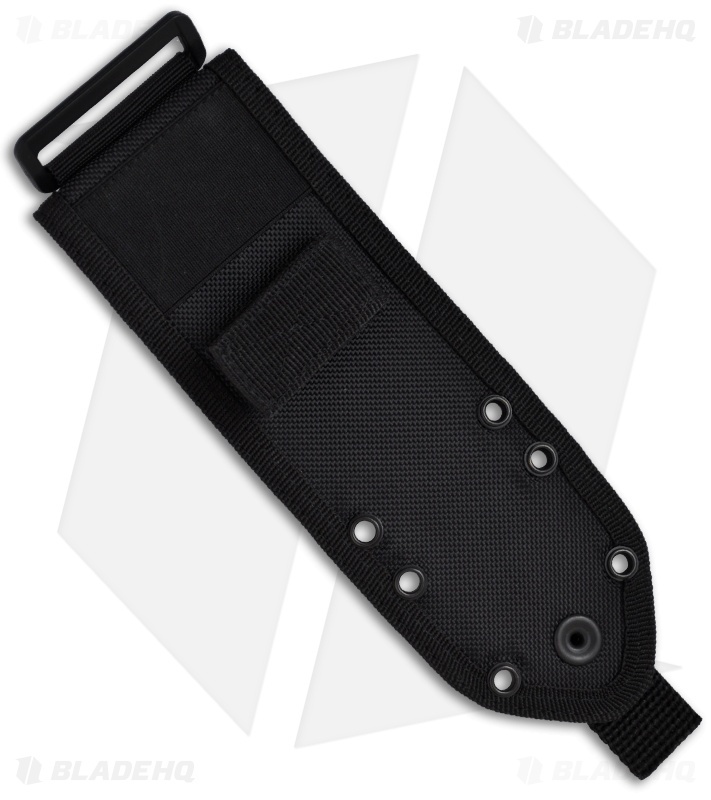 Includes a black Kydex sheath, paracord, cord lock and Cordura MOLLE back. 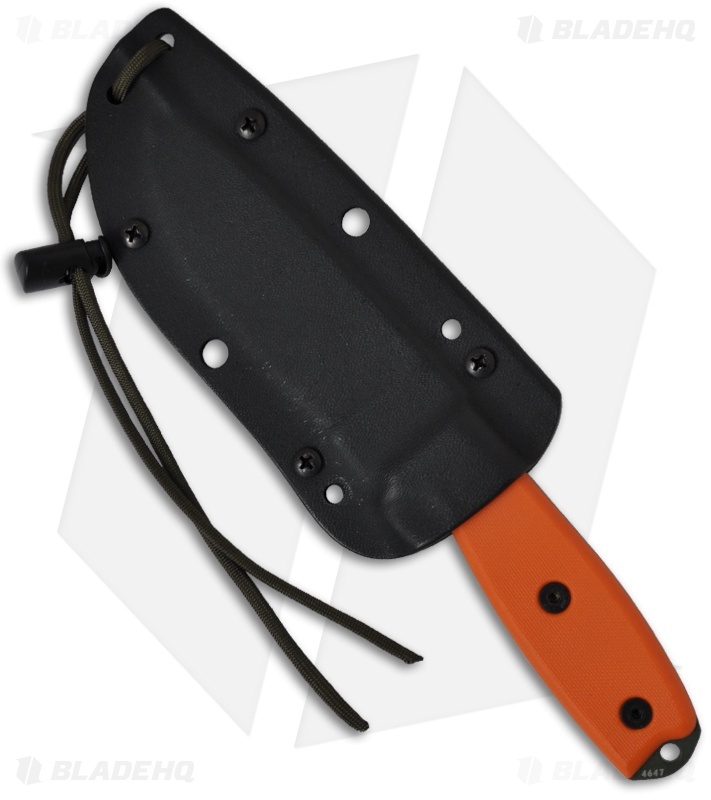 This is the "wilderness" model of the popular ESEE-3 tactical knife with a longer thicker blade. The 1095 steel blade is 3/16" thick with a full flat grind. The handle has removable Micarta scales and a rounded pommel with a hole for lanyard attachment. 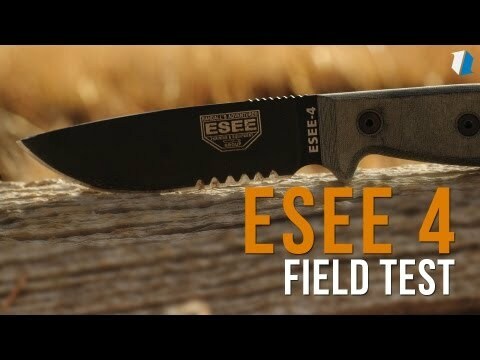 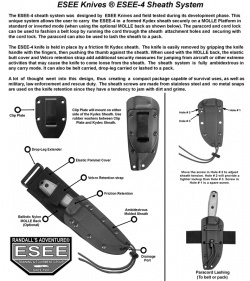 The ESEE-4 line of knives are designed to serve as a primary backpacking and wilderness survival knife, or fitted to your modular system for duty carry in a tactical environment. The sheath is fully ambidextrous in any carry mode. It can be belt carried, drop-leg carried or lashed to a pack. Sheath instructions are in the pictures above and included with the knife.